being presented the championship trophy by Al Bourgeois. Other winners are pictured below (just click on the thumbnail to view larger). For all of the pictures Bob Gilman took - click on the following link and view a slideshow presentation. The Harry Duncan Bonspiel was a great success once again. Once again a Parry Sound school team won the elementary school championship. click the Youth Curling page on the browser. 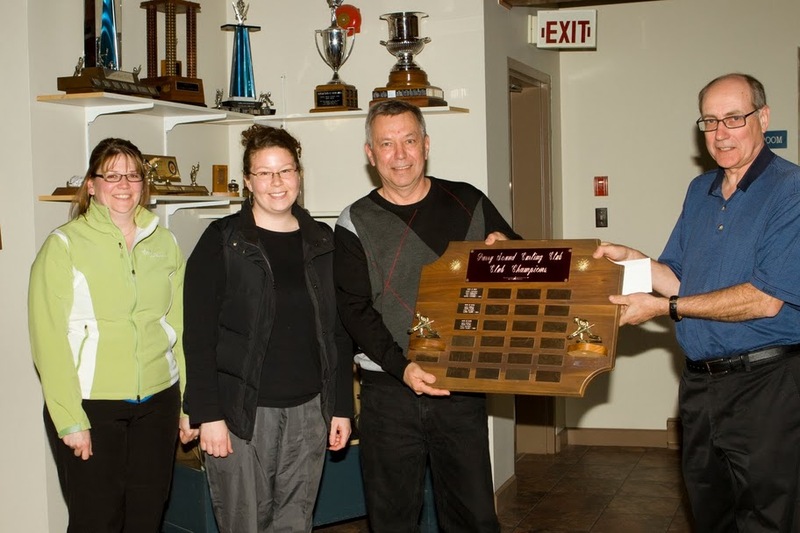 Mixed Doubles - Our first "tournament was held on Monday Mar. 22. See the link below for a video demonstration of the format. Rules are also available online by clicking the link below. Just for fun - check out this demonstration of the newest curling game - "Mixed Doubles". All leagues are now over for the 2009-2010 season. Scores and standings are final for all leagues. Just click on the Standings link on the Sidebar. The winners of this league are the team of Scott Jennings, Trudy Orr, Phyllis Harris and Randy Orr. Runners-up are Dan Hill, Sandra Villeneuve, Rob Morrish and Audrey Milligan. Close behind in third and fourth, were Tom Piddington/Liz Sims and Al Bourgeois. The winners of the first round are Al Bourgeois, Paul Milligan, Jason Cutler and Luke Milligan. They also won the second round, with Dan Hill close behind. Both qualified for the club championship. The final results are shown under Wednesday Ladies' Standings. "A" Division winners are Julie Truscott, Joanne Gill and Cheri Sidon, with 11 points overall (one loss and one tie). Runners-up are Nanci Beers, Louise Krause, Lorrie Kerr and Lisa Vankoughnett (with 10 points). "B" Division winners are Marie Dunn, Martha Gibson, Kathy Parton and Randi Krist with 13 points overall. In second place is Trudy Orr, Lorna Morgan, Sally Coomber, and Beth McIsaac with 10 points, and in third is the Susan Smith rink with 8 points. All 3 of these teams will move up to the "A" division at the start of the curling season next year. The first round results are also shown under Wednesday Ladies' Standings. "A" Division winners were Liz Sims, Bev Webb, Robin Galbraith and Barb Atkinson, with 12 points overall (only one loss). Runners-up were the Laurie Robinson rink and the Sue Shadd rink (with 10 points each). 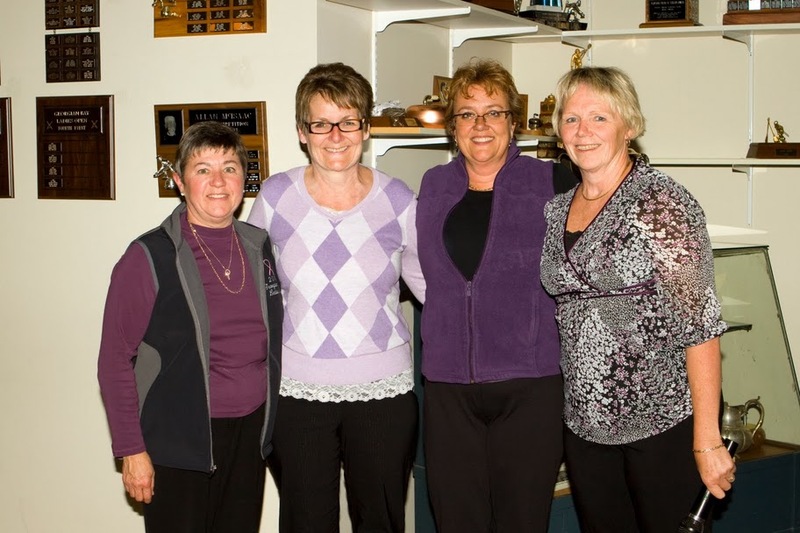 "B" Division winners were Sandra Villeneuve, Lisa Moore, Cathy Knight and Lorraine Vankoughnett, with 11 points overall. Runners-up with 10 points were Trudie Johnson and her team. In third place, with 9 points was the Julie Truscott rink. All three of these teams moved up to the "A" Division for the second round. "A" Division winners are Steve Holmes, Mike Hergaarden, Jon Cutler and Jade Constable. Runner-up is the Al Bourgeois team. "B" Division winners are Dave Gibson, John Jackson, Shawn Boggs and Robin Dyke (14 pts.). Runners-up are Wayne Ferguson, Rudy Krist, Fred Loosemore and Andy Blenkarn (13 pts.). Here are the top 10 teams based on total points. "A" Division winners were Bruce Shadd, Doug Gibson, Morley MacDonald and Bob Hawkins with 14 points overall. Darcy Weeks was in second place (tied with 14 pts. but lost to Bruce by default). "B" Division winners were Al Bourgeois, Jason Cutler, Brad Bowland and Dan Honsinger with 14 points overall as well. Runner-up with 11 points was the John Young/Ray Pavlove team. 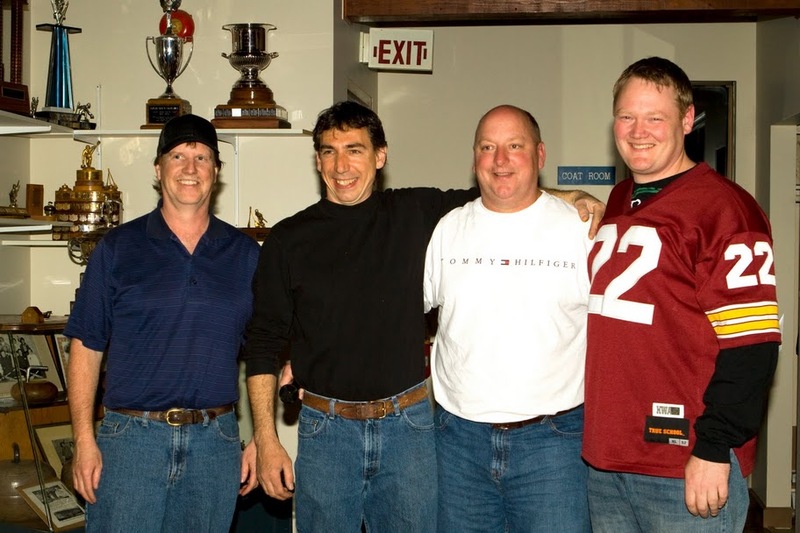 In third place, with 10 points was the Hugh Logan rink, and in fourth, with 9 points was Wendell Morgan and his team. All four of these teams moved up to the "A" Division for the second round. The Ladies' Open bonspiel "Think Pink on the Rink" is also over for another year. Although we only had 16 teams we managed to top last year's donations to the West Parry Sound Health Foundation this year. We raised more than $4,000 to go toward the purchase of a new digital mammography machine. Way to go girls! Cathy Knight and Lorraine Vankoughnett were the top pledge receivers, with Cathy taking the prize for the most raised through pledges. Good going Cathy! The Boxing Day Family Spiel was a success once again this year. Many families competed in this annual spiel. If you would like to get in on the action next year - talk to organizer Bob Holmes. Thanks for all your hard work Bob. The women's Christmas party was a great success. We all had a good time and we were pleased to have raised over $700 for special projects at the club. We were also able to donate leftover food to Esprit place. Thanks to all of the women who came and supported our club in such a fun way! *Please note that even if a game is won or lost by default, someone should fill out a card stating who takes the win!!!!!! If no card is submitted, both teams will be awarded zero at the end of the schedule. Also, do not forget to put in a card for TIES! Both teams are responsible for doing this - so please don't forget. 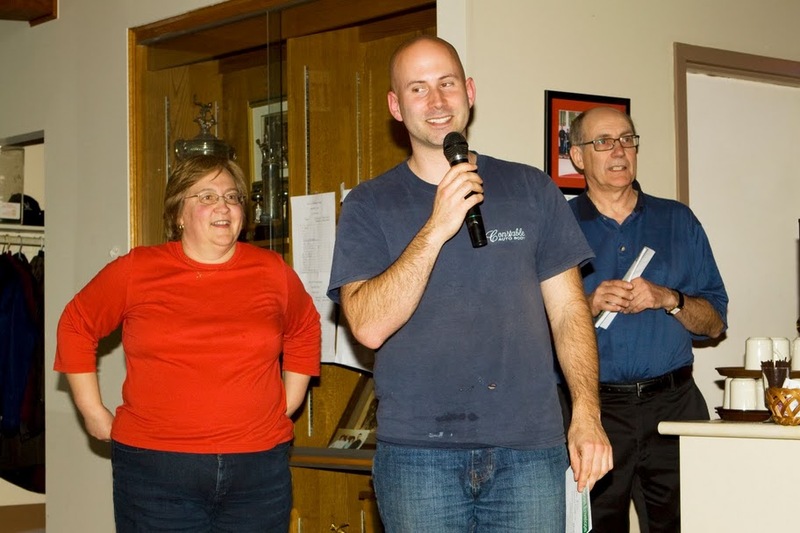 This open bonspiel was held November 20th and 21st. 10 teams were entered. The winning team was Julie Truscott, Joanne Gill, Liz Sims and Ron Gill, who defeated Nanci and Allan Beers, Louise and Steve Krause in a very tight game to take the championship trophy donated by Morgan construction. 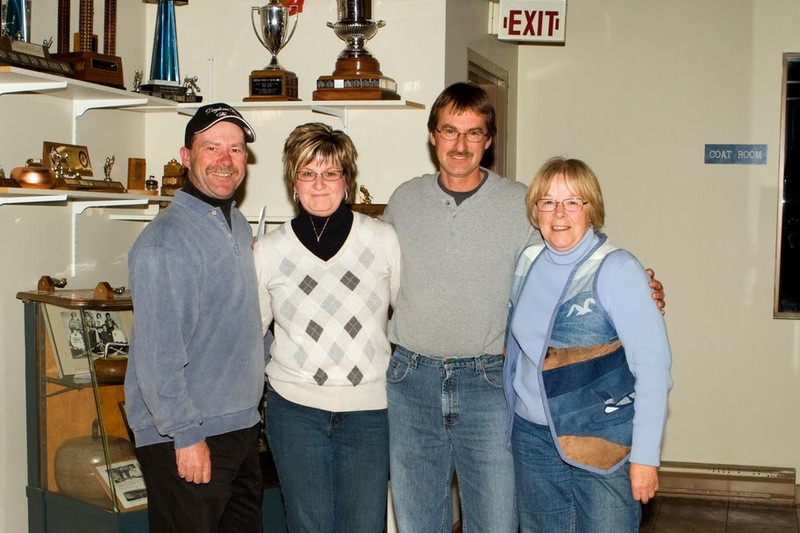 Winners of the "A" consolation were Bob Holmes, Tracey Sitts, Pauline and Steve, who defeated Rod Osborne's foursome. The Second Event was won by Marie Dunn, Martha Gibson, Kathy Parton and Gillian, who defeated Josh Carr's junior team from Bradford. 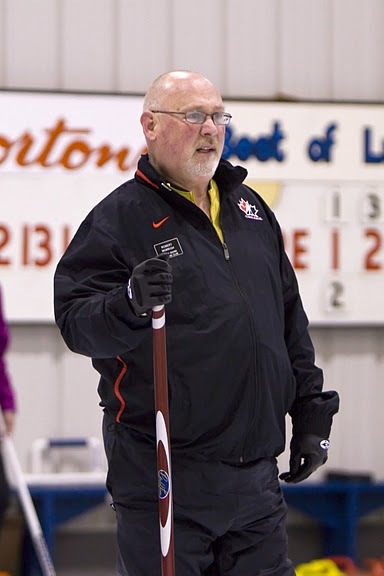 Marian McIsaac's team took the third event by defeating John Patterson's team. Thanks to our intrepid photographer, Bob Gilman for taking so many neat pics at our various events. Check out our photo gallery pages too. 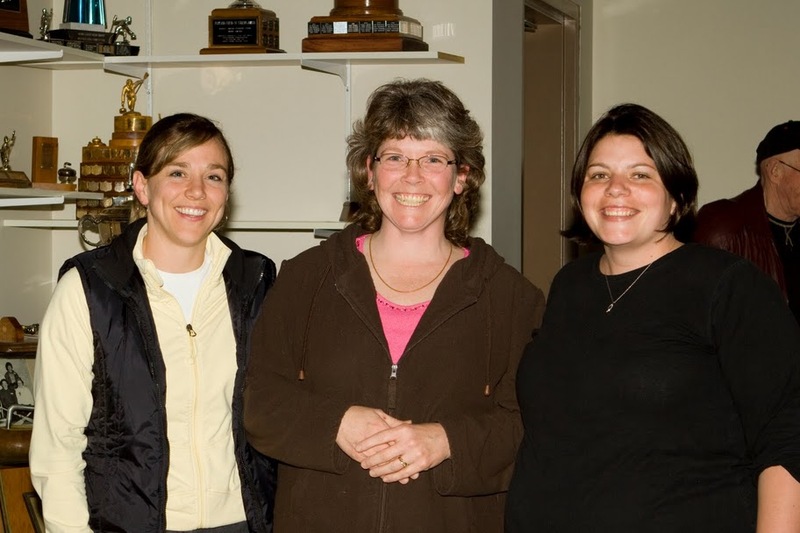 Click on the following link for candid pictures from the 2009 ladies' bonspiel. Just for fun - check out this demonstration of the newest curling game - "Mixed Doubles", a very interesting type of game. See if you think you'd like to try it.